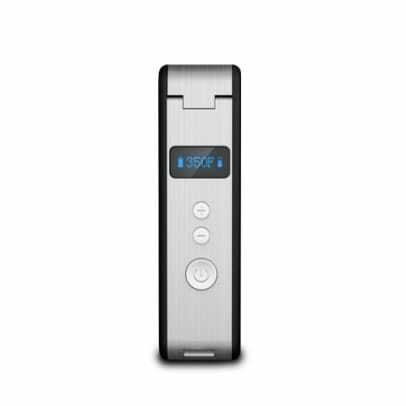 Vaporfection out of Florida has been in the vaporizing game for a while now (founded in 2007) and after a long buzz build they have released their new portable vaporizer called the miVape a little brother to the viVape. 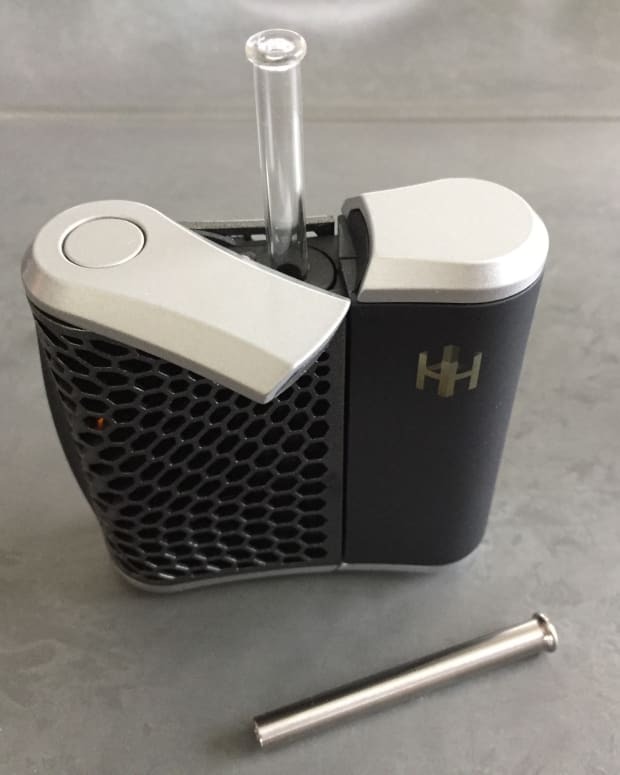 The miVape debuted in Denver earlier this year (The mile high city, sorry had too) at the High Times Magazine Cannabis Cup and has since been commercially released. This is a nice functional design that is roughly the size of a deck of cards. It&apos;s stealthy enough and slides into your front pocket quite easily. The miVape is also made from high-quality materials and feels very sturdy and well built. The user interface is also quite sleek and simple with the power button, temperature control buttons, and a digital LED display. From a pure aesthetics point of view, the design is very simple and clean, more importantly it&apos;s very functional and portable. 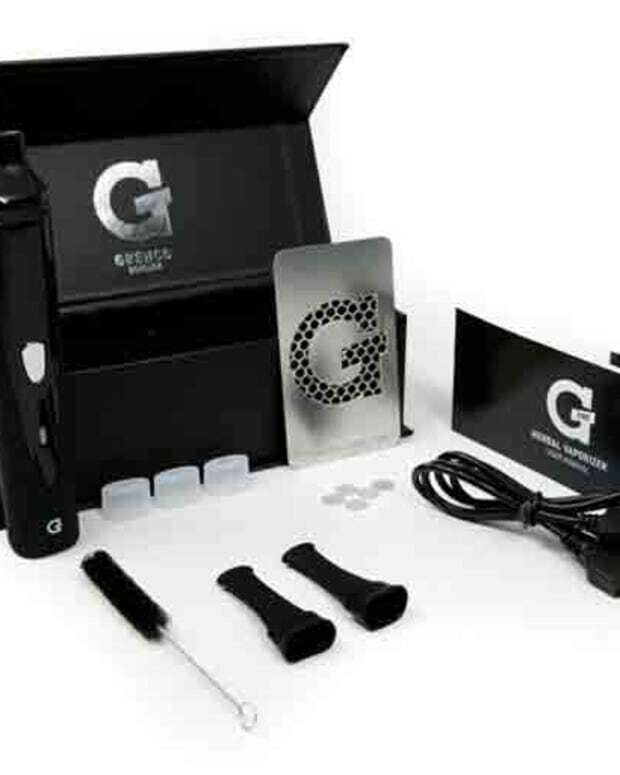 To access the glass stem you simply flip up the top compartment which swings up on a hinge and allows you to pull out the tube and pack the chamber. Our only advice is to be a little careful when flipping open your miVape as the hinge could be one of the first things to break if you are not gentle with it. You can also remove the glass stem should you want to clean it or replace it. Also always make sure to pack the chamber with your leaves prior to vaping. One thing that is a bit frustrating with a lot of portable vaporizers is that they have a series of button sequences to push to get them to function. The miVape is simple, just hold down the power for a couple seconds and the unit will heat to its default 350°F and then using the +/- butons you can dial in your exact temp up to 430°F. The LED let&apos;s you know what the temp is as wells as how much battery life you have left. It took about a minute to heat up to the baseline temp, which is what they claim on the box and seems pretty standard. Here&apos;s where things really stand out. The miVapes true convection along with it&apos;s all glass components make a HUGE difference in the quality of vapor you are taking in. Where many portables (mostly the cheaper ones) just don&apos;t deliver super clean tasting vapor, there always seems to be a bit of burnt taste reminiscent of a bit of combustion/burning. We took inhalations at several temperatures, and they all delivered clean tasting vapor, we found the optimal temp to be 390°F. The miVape doesn&apos;t decimate the flowers at this temperature, still extracts a nice thick plume of vapor and will last for about eight pulls. You also don&apos;t have to fiddle around with the bowl mid-session, it will pretty much get all of what you pack pretty easily. The battery life is really dependent upon how often you are firing it up but with normal use you can squeeze about two hours out of it. What&apos;s also nice is that the battery is removable and easily replaced once it starts to lose it&apos;s juice. The miVape also will allow you to use concentrates and comes with a separate bowl and wax clothes should you choose to go this route. We read some other reviews, and it seems that most people had a good experience using it with concentrates. We did not test the miVape in this capacity. The miVape comes in at about the $259 range for it&apos;s MSRP which is about the middle of the road for high-end portables. For the universal quality of build, ease of use, amazing tasting vapor and removable battery the miVape is an excellent choice if you are in the high-end portable market and well worth your consideration. Our only advice is to be careful with the most delicate parts of the mechanism like the hinge and the glass stem/bowl. This is a great portable unit but not one that could sustain much impact, etc. 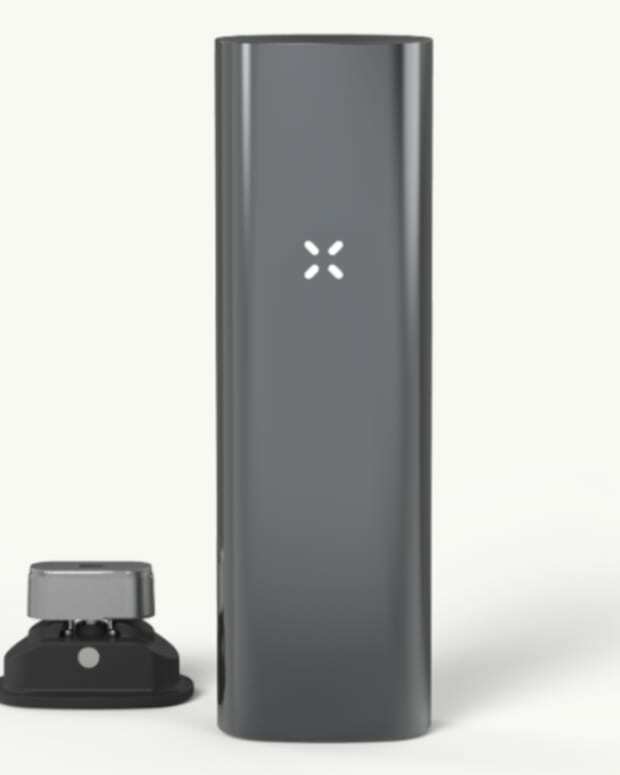 Is The PAX 3 The Best Portable Vaporizer On The Market?